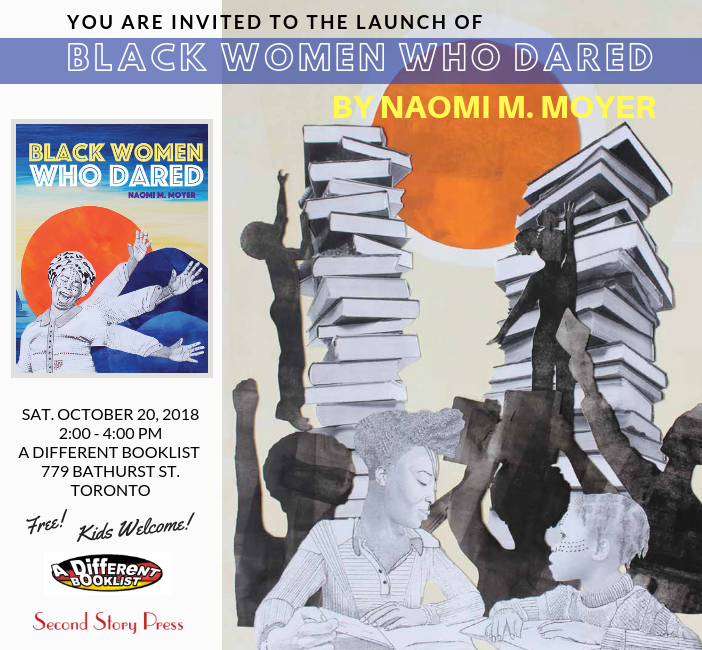 Join Naomi M. Moyer for the book launch of Black Women Who Dared! Naomi will do a reading, and sign copies of her book. Light refreshments will be provided. Children and adults are both welcome and encouraged to come. Naomi will also be showcasing some of her original artwork from the book. Artist Naomi M. Moyer presents powerful biographical portraits of ten Black women and women’s collectives from Canadian and American history, ranging from 1793 to the present. Included are leaders and groundbreakers who were anti-slavery activists, business women, organizers who promoted healthcare, and educators who taught literacy and scholarship in Black neighborhoods. The stories and beautiful portraits in this book will engage a wide range of readers. Celebrate these remarkable women—some of whom you may be hearing about for the first time—and the profound impacts they’ve made. Profiled are: The Coloured Women's Club, Jackie Shane, Sylvia Estes Stark, The Hour a Day Study Club, Rosa Pryor, Sherona Hall, The Black Cross Nurses Mary Miles Bibb, Chloe Cooley, and Blockorama.